We celebrated World Book Day this week in real style! 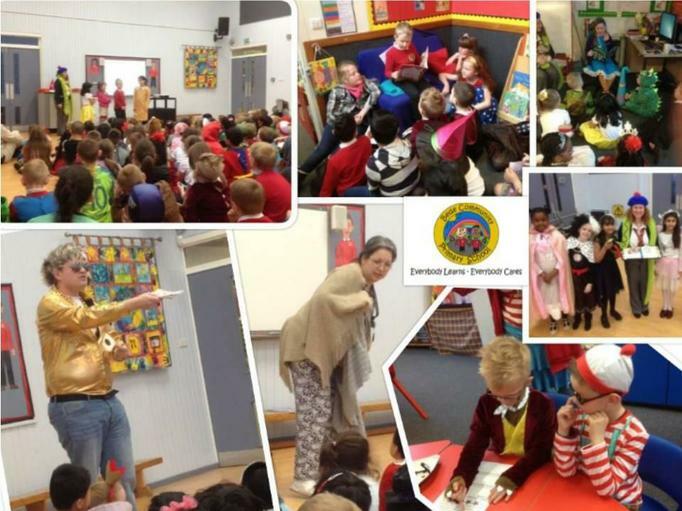 The children came together for an assembly where they met some truly fascinating characters and got to share the book-inspired costumes which they had put together for the day. In class, we were sharing stories, reading with younger friends, discussing our favourite books/authors and also voting on our favourite Elmer books. We have many Elmer books at the front of school and had another assembly that afternoon to share which Elmer stories we loved the most and why. Mrs Colquhoun will follow this vote next week with exciting news about the Elmer story which we decided is the best!